Halong Bay - The natural wonder of the world famous for its beauty. Every year, Ha Long welcomes thousands of visitors to visit. Try feeling "play" in Ha Long as a local, certainly your tours in Vietnam will be more unique. 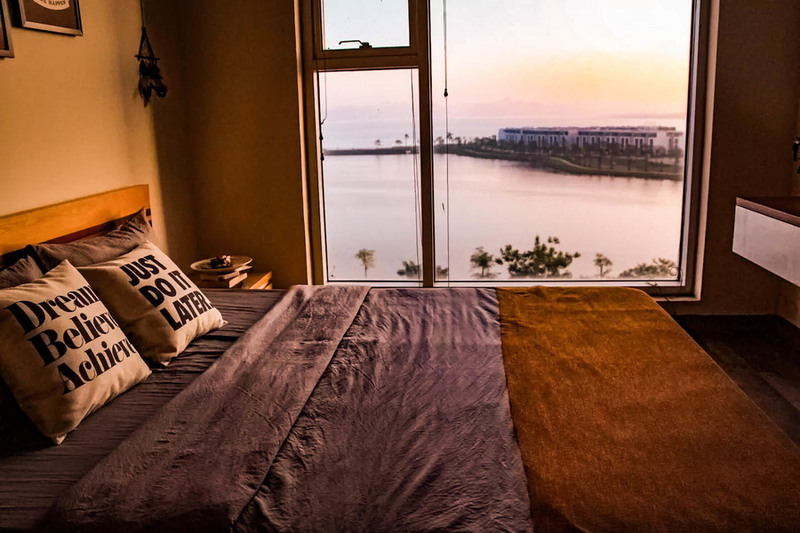 In recent years, Airbnb has become a phenomenon when it opens the paradise of accommodation for tourists, without having to stay in the hotel too much money, visitors can choose for themselves a Airbnb with bathroom own, kitchen, full amenities. 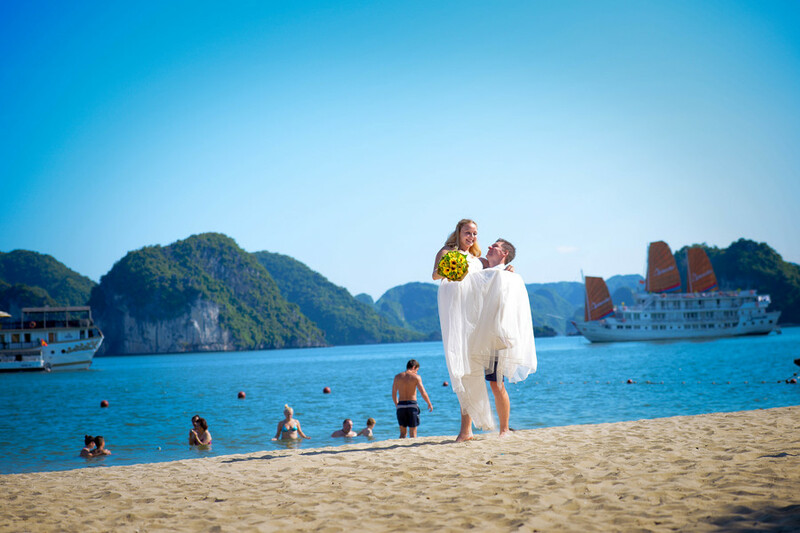 The most important thing is that you can go to Ha Long Bay and experience the culture freely here, the host will be ready to advise you on local customs, festivals, restaurants or places. You will find somewhere peaceful atmosphere in the ordinary life of Ha Long people. Do not let luxury Asian or European restaurants fool your taste buds. Try stepping into a roadside restaurant and regularly savor Vermicelli noodles, Grilled Scallops, surely it will not disappoint you. Endless squid is also one of the dishes that you try. The address of these eateries is near Bach Dang Cinema, which is very convenient and easy to find. 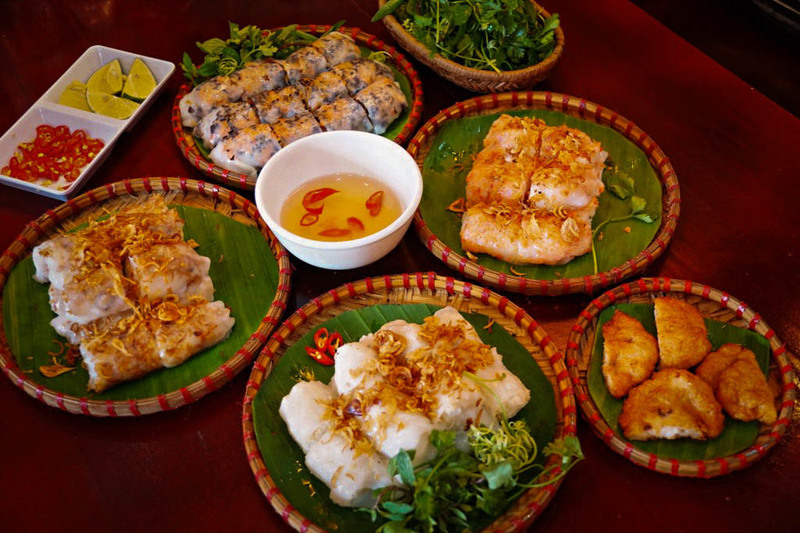 Do not miss the opportunity to enjoy great food when traveling Halong. 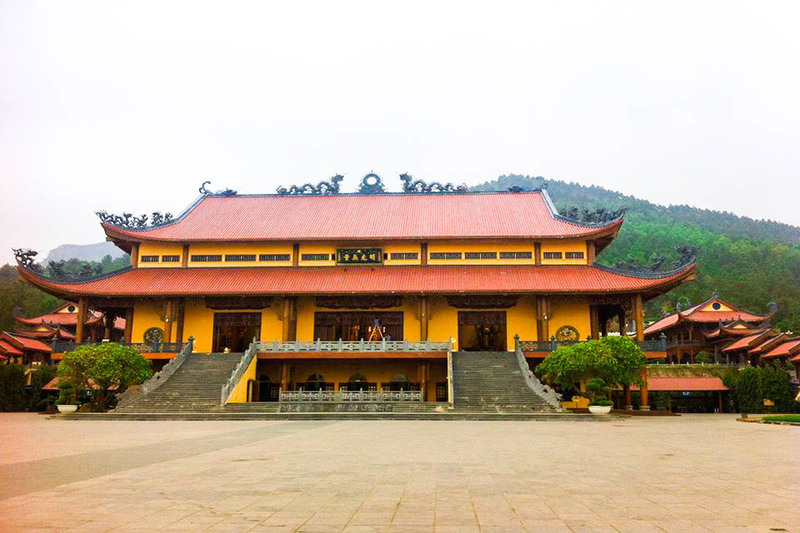 Ba Vang Temple is the first Buddhist temple built in the 13th century. The temple was first renovated in 1706 by monk Tue Bich. The most recent is in 2011. Experiencing how many bombs of war, Ba Vang pagoda is standing, standing and now become a place to attract tourists Ha Long. Every year, there is a unique "Hoa Cuc" festival. Ha Long Dragon Park is part of a SunWorld Halong entertainment area. There are many attractions such as the Queen's cable car or the Sunwheel. 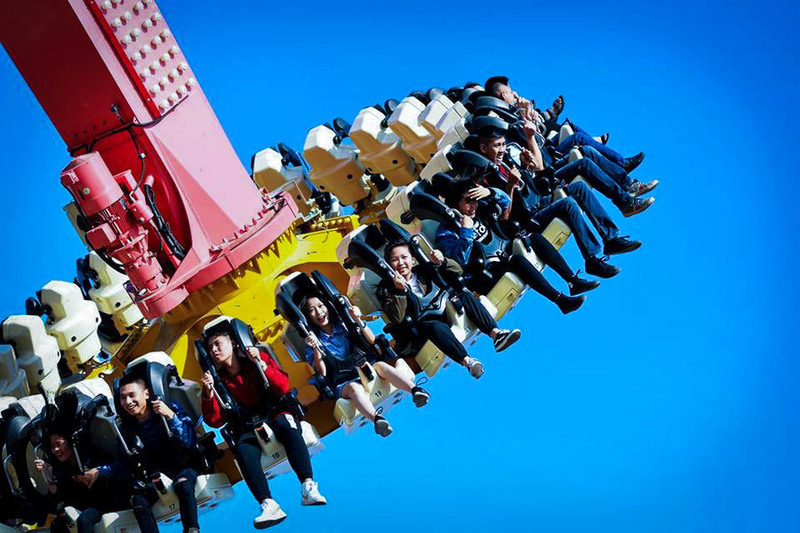 Dragon Park is famous for its three roller coasters: Dragon's Race, Mystery Journey and Dragon's Flight. There is also a collection of 29 different games that are extremely interesting, from the swing to the tropical garden. This is indeed a very interesting destination for those who like to explore. After spending time playing at Dragon Park, do not hurry to go back to light a bit to see the panorama of the beautiful sunset as the dream in Ha Long. 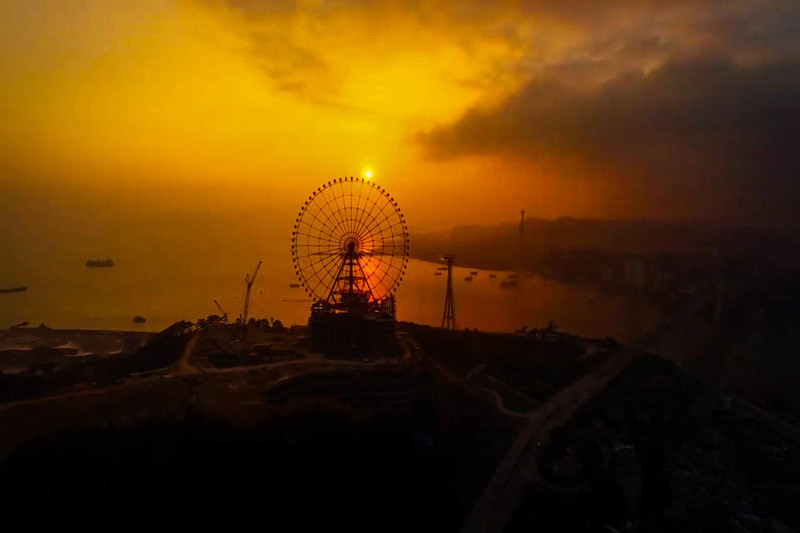 Sunwheel is known as the largest Ferris wheel in Ha Long, located atop Mount Ba Deo, 250 meters above sea level with tens of thousands of LED lights, giant wheels Sunwheel will bring visitors full picture. Halong sunset when the sun sank slowly down the horizon. Going to visit Halong Bay by boat is a bit expensive but will give you the feeling of unforgettable. 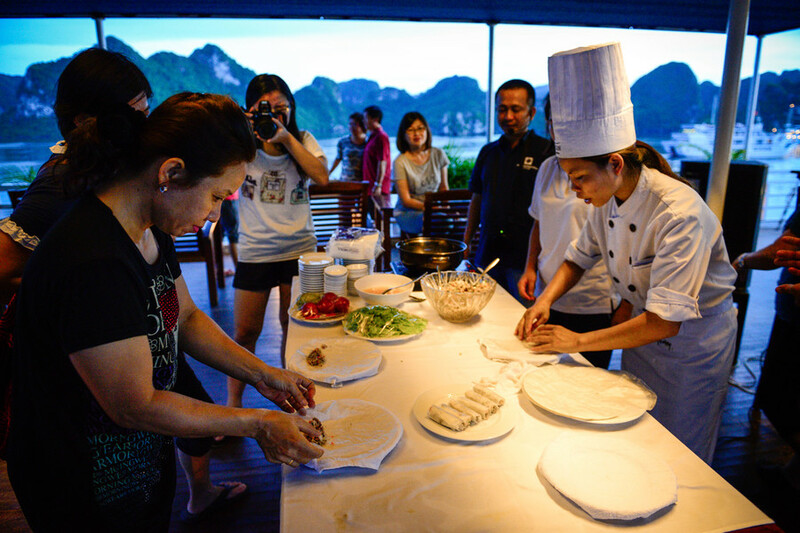 One of the cruise ships in Halong has a very useful cooking class. Here you will learn how to make fried spring rolls in Vietnam. In addition, Hai Au Airlines also combines the same flight schedule on board the Emeraude yacht. This is the best way to view Ha Long Bay from many angles. 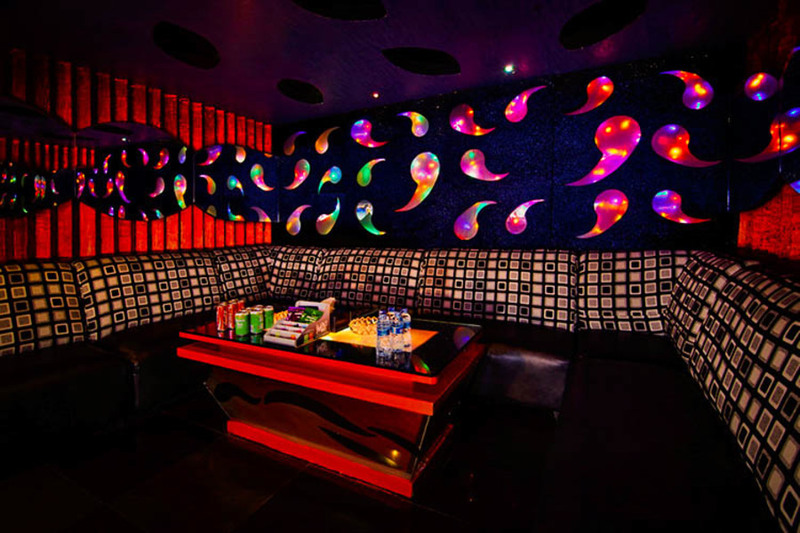 If you enjoy partying, the bars here will be fun to watch. Most of these clubs are full of dancers and dancers. Join and party, have fun as a native. Here, visitors can also sing karaoke. Sing with your heart and feel like you are part of Ha Long Bay. The crowded, crowded beaches will make you feel "unhappy", the crowds will make you uncomfortable. So try to go to another beach to enjoy the natural scenery, calm blue sea. Although tourist attractions, but there are some places that only local people find out. Ngoc Vung and Son Hao is a place where you can enjoy water sports such as swimming, kayaking or simply sunbathing, listening to the waves and listening to the waves. sea, peace and happiness. Just a small area of South East Asia but Halong Bay brought in a lot of mystery to surprise. Just a little effort, you will get a better understanding of local culture, as well as visit some of the traditional and unique locations of the bay. If you have any questions, call us right now to find out more! Wishing you have a wonderful time in Halong Bay Vietnam.